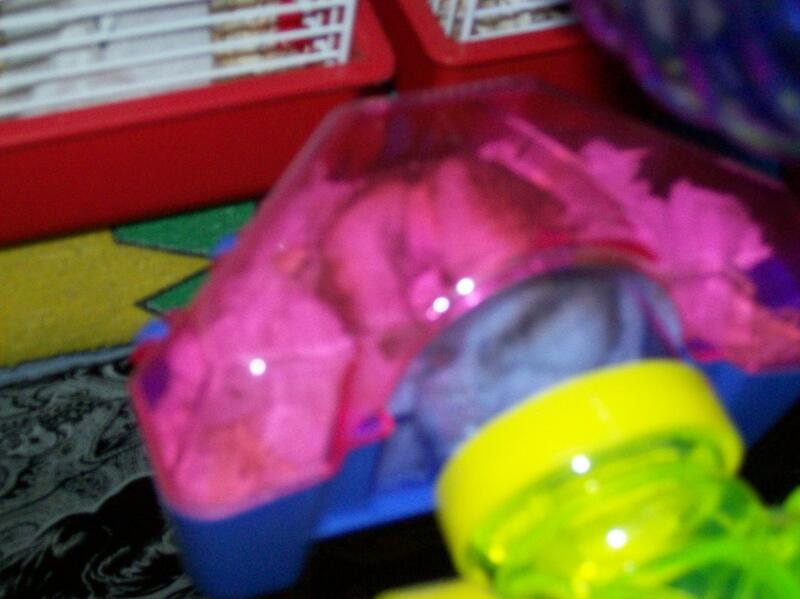 This is a picture of Hamtaro sleeping in her outhouse. She's been sleeping there for about two weeks now, since winter hit. As of the time of writing this I believe she has gone back to her house, I've gotten it nice and warm by putting some towels around the bottoms of her cages, keeping it a bit further from the wall.